When we first moved to Mitte we kind of snubbed Hackendal for a while. 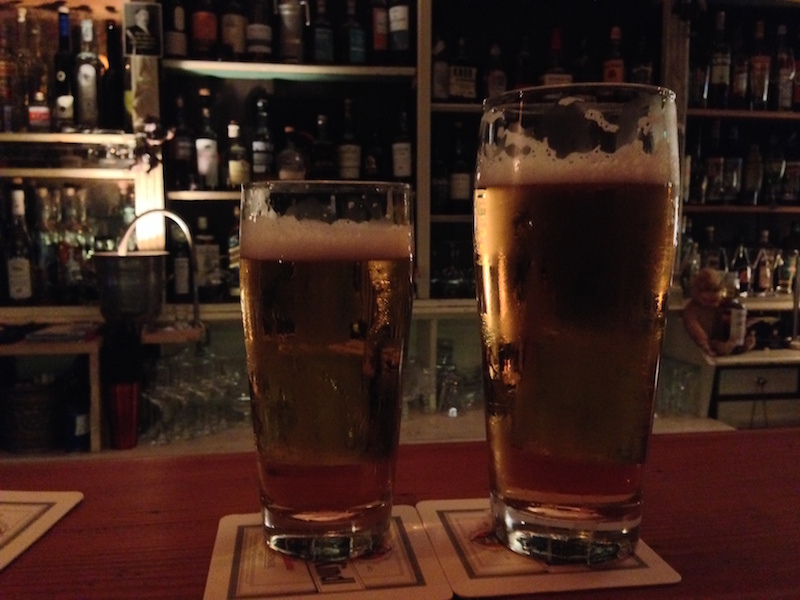 The truth is that Berlin has an amazing selection of bars that we felt somewhat overwhelmed and ended up ignoring the places that were closest to us. After a while we realized that there were some true treasures just around the corner. And now we enjoy and cherish them. HACKENDAHL NEIGHBORHOOD BAR is one of our local gems. Hackendahl is located smack in the center of town. A few meters from Oranienburger Tor (U6 line) subway station on Friedrichstrasse. Just look for the cute black and white awning. 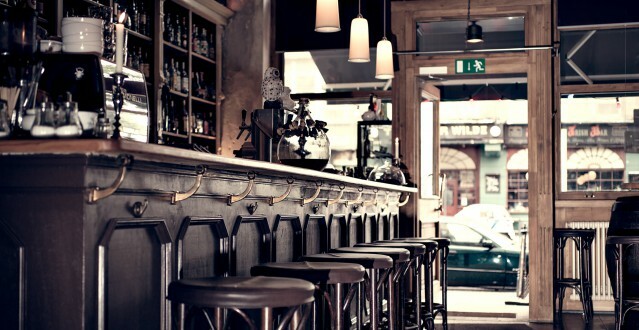 The bar is very spacious and comfortable. The wooden accents give it a cozy and inviting feel. We particularly love the bar area and the newly added “library” with comfy leather benches. There’s a super cool basement area that can be rented out for private functions. The cocktail menu is solid. The gin and whisky cocktails are particularly good. We have to admit, though, that we usually come here for the beer. Hackendahl always has four solid beer options on tap. And that’s enough for us to have a great time. The staff here is super friendly and efficient. They will do their best to provide you with a great time. Whether you come here in the afternoon (yes, it is open from 3PM) or later in the evening. There are also German bar food options available should you get hungry. We have not tried them, though. The crowd is super mixed. People of all types and ages hang out at Hackendahl and that is one of the things we love the most about it. We love places where everyone feels welcome and comfortable. If you are looking for the hippest place in town, this is not your place. However, if you are looking for a chill and fun night out with friends, we highly recommend you try coming here. 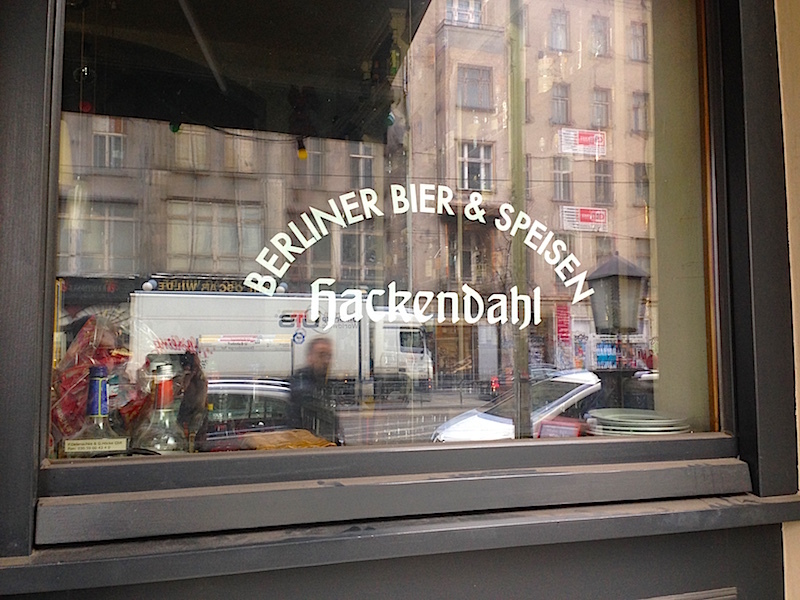 Also, note that Hackendahl is a non smoking bar – a welcome exception in Berlin’s smoky bar scene.